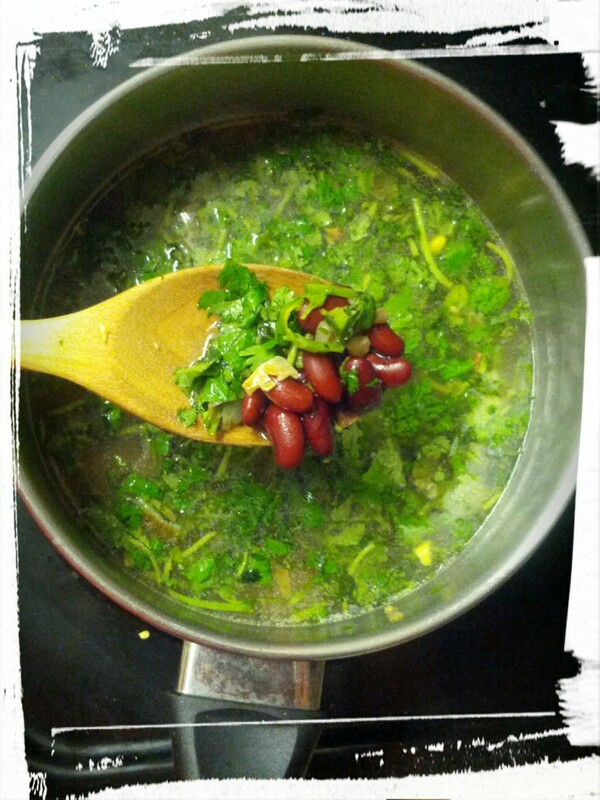 Easy Portuguese-Inspired Bean Soup with Kick! Surprisingly flavourful for something so easy. I came up with this recipe last fall, when I was trying to use up the leftovers from my Pistol Packin’ Texas Caviar. I was majorly surprised at how delicious this turned out to be, and I strongly recommend that you all try it yourselves. It would be perfect on a crisp fall evening like today’s was, with a slice of fresh bread, and a slice of my Ultimate Caramel Apple Pie for dessert. You can put this soup together in half an hour, from fridge to table, including chopping. Or, if you do the chopping when you make the salsa, you can put the soup together in 15 minutes. Not bad for a quick, homemade soup, huh? This soup also freezes well, and I’ve packed some in the fridge for lunches later this week, and frozen some for future lunches. Saute onion and garlic in butter until caramelized. Crumble in veggie bouillion cube, and stir in 4 cups of water. Boil until bouillion is dissolved. Dump in rest of ingredients. Boil until heated through and flavours melded, about 10 minutes. Serve and enjoy the fresh flavour of the cilantro mixed with the heat of the peppers! You could also add some celery, carrots, and sausage, for a more traditional Portuguese-style soup, but I have none of that in my fridge and I’m all about cooking with what I’ve got. If you do add anything else to the recipe, let me know in the comments! I’m always interested in variations! Next Post: Triple Almond Sugar Cookies, so easy a 4-year-old could make them. 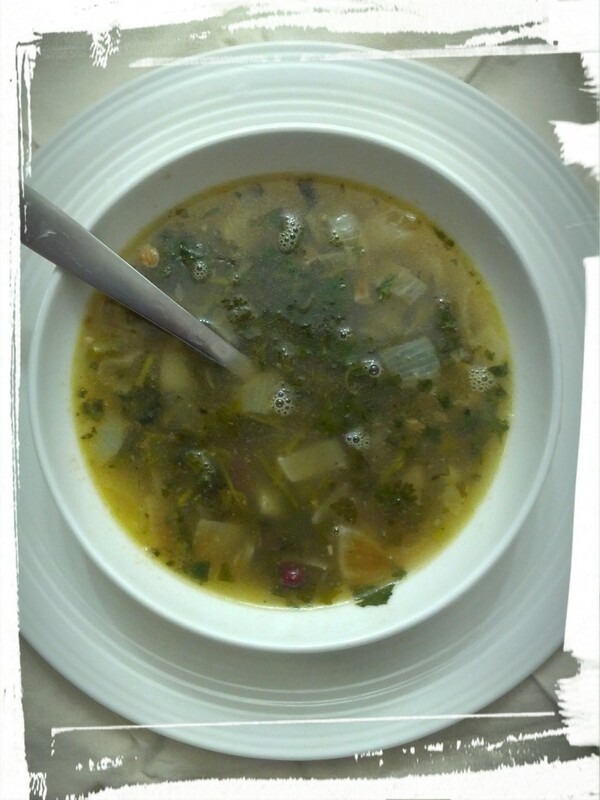 This entry was posted in Soups, Vegetarian Main Dishes on October 9, 2014 by Margaret.